NGERULMUD, Palau, November 4, 2015 (ENS) – The Pacific island nation of Palau has created a new marine sanctuary the size of California that will be the world’s sixth largest protected ocean area. Palau’s President Tommy E. Remengesau Jr. signed legislation October 28 establishing the Palau National Marine Sanctuary. Located in the western Pacific Ocean, the sanctuary is inhabited by more than 1,300 species of fish and 700 kinds of coral. 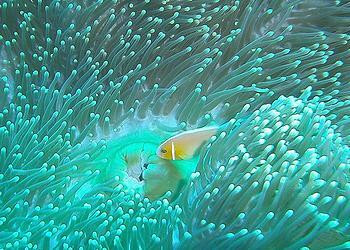 The sanctuary will take up 80 percent of Palau’s waters; it will be fully protected from fishing or drilling. A separate zone reserved for local fishermen and small-scale commercial fisheries with limited exports will cover the rest of Palau’s waters. The country’s population of around 21,000 is spread across 250 islands, which form the western chain of the Caroline Islands in Micronesia. Palau shares maritime boundaries with Indonesia, the Philippines, and Micronesia. The President Tommy E. Remengesau Jr. says the new sanctuary proves that a small island nation can have a big impact on the ocean. He says island communities have been among the hardest hit by ocean degradation, and creating the sanctuary is essential to the survival of the people of Palau now and for future generations. 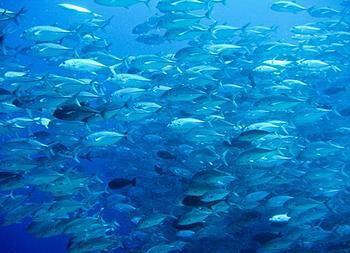 Globally, oceans are threatened by over-fishing, pollution, warming and acidification. Yet, large, no-take marine reserves are crucial to efforts to build marine resilience to climate change by allowing fish populations to rebound and reducing by-catch of species that are critical to ocean health. The U.S.-based public interest environmental law group Earthjustice provided legal support to the government of Palau, advising on the legal requirements under ocean treaties and fisheries access agreements to which Palau is a party, and the Palau National Marine Sanctuary Act. Earthjustice international program attorney, Erika Rosenthal is delighted with the newly protected area. President Remengesau also requested technical support from Pew’s Global Ocean Legacy project to help create the Palau National Marine Sanctuary. Support for the sanctuary is strong across the island nation from governors to traditional leaders to thousands of Palauans who demonstrated and signed petitions. Palau has long been a leader in ocean conservation. The nation established the first shark sanctuary in the region in 2001 and was a leader in the Micronesia Challenge, designating a near-shore network of protected areas starting in 2003. With creation of the sanctuary, Palau has set aside a higher percentage of its marine zone for full protection than any other country in the world.